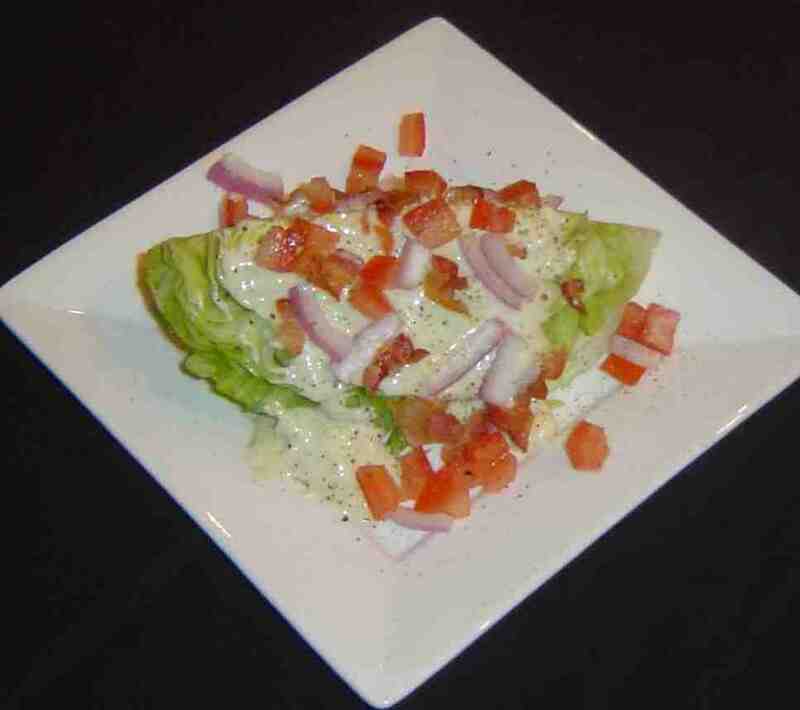 The “Wedge” Salad is a classic American salad that was popular a couple of decades back. It sort of went by the wayside when Americans became more interested in darker greens such as romaine. You can still find it on some menus, and to me it’s a great and tasty salad because it combines two of my favorite things: bleu cheese and bacon. I find this simple salad to be a great to entertain with, or to serve along a great grilled steak for a simple supper. Before I get started I need to point out I did not make my own bleu cheese dressing. Bleu cheese dressing is one of those perfect recipes that I’m still perfecting…like the perfect meatball recipe for example. So here is the second dish or meal that we incorporated the fabulous Arugula Walnut Pesto in. I really just came up with the idea by wanting to use various items that I had on hand at the time up, but boy was it a hit. BD and I literally each took a bite and turned to each other with that complete look of utter satisfaction when you have an idea of how you want something to turn out and it ends up exceeding those expectations. In fact, I looked at him and said: This should be on a menu somewhere. Who knows – maybe it already is! ~ I know this is labeled under vegetarian as well. The reason why is because by just eliminating the steak and doubling up on the Portobello, you can have a great option that would satisfy anyone. *We used A1 Steak House marinade. 1. Allow your flank steak to marinade according to the directions of the marinade you choose. I would recommend at least an hour or two but several hours is best. Take the Portobello and onion, coat with oil and season with salt and pepper. 2. Allow your grill to get very hot. 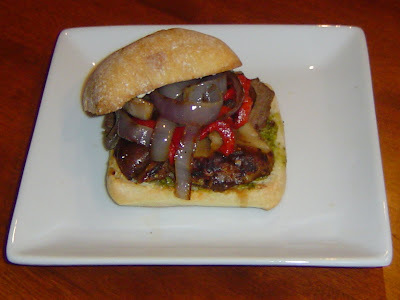 Once grill is well heated, you can grill the Portobello, red onion, and steak. Red onion will take about 6-7 minutes per side; the Portobello will take about 5 minutes per side; and the steak for about three minutes each side. (This will give you a medium-rare to medium steak. I wouldn’t recommend grilling it much past this temperature as flank steak is thin and can easily be overcooked.) I would actually recommend grilling the steak first, removing it from the heat, and allowing it to rest for several minutes while the veggies cook. This will allow the juices in the steak to redistribute – which means a juicier steak for you. 3. Once steak is rested, take a sharp knife and cut across the grain in thin slices. Also slice the Portobello into long slices and separate the onion. 4. Assemble your sandwiches: Cut each ciabatta in half. 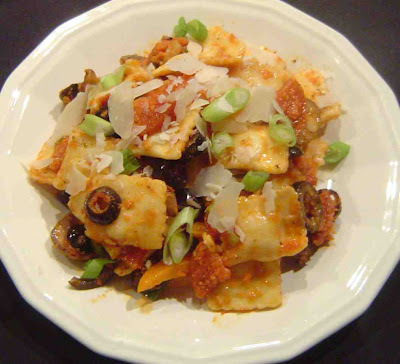 Spread 1 tablespoon on the pesto on the bottom half and 2 tablespoons of boursin on the top half of each. 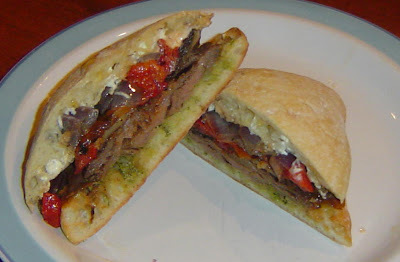 Then layer your steak, portabellas, roasted red peppers, and red onions. Cut in half and serve. Thoughts: I’ve actually been dying to makes these again. And I’m still dreaming of the arugula walnut pesto. The ciabatta rolls are really one of my favorite types of bread. 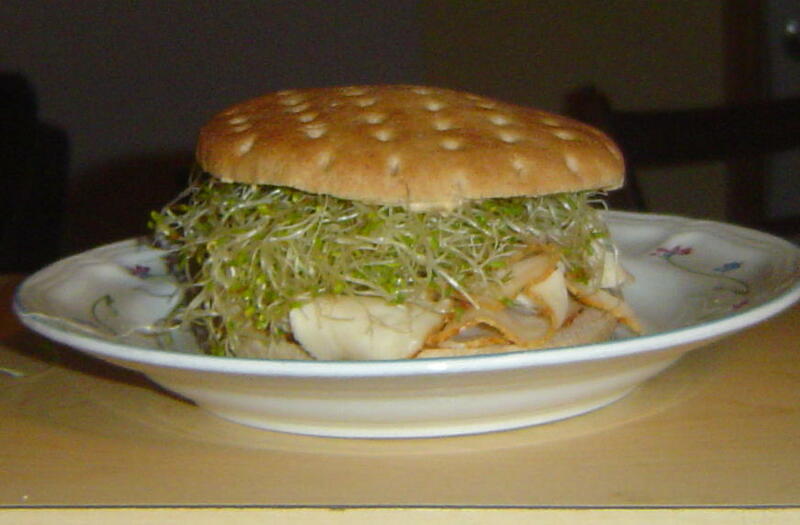 They held up really well in relation to this sandwich, which a less sturdy bread wouldn’t be able to. Steak with mushrooms and onions are always a winning combination in my book and this went above and beyond it. 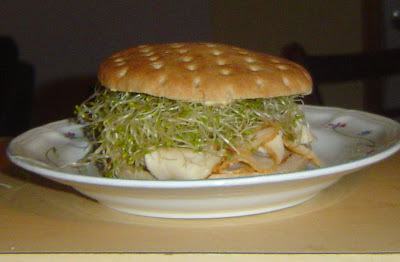 This sandwich was favorable and would make an easy summer dinner. Well its been a little over two months since my last entry… certainly the longest I have gone without posting something. There have been number of things that have contributed to my absence, things that I won’t bore my whole two readers about. Even though I have not been actually blogging, I have been thinking about several changes I have wanted to do here. Again I won’t bore you with a list or go into great details, but I plan on incorporating some new things that I think will be fun. Currently I am fleshing those ideas out a little more but I hope that within the next couple of weeks I can start implementing them.